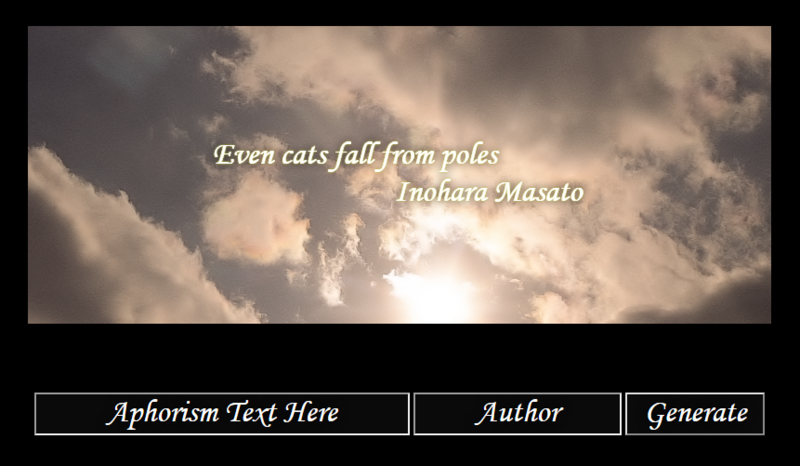 Forum member Bonecuss has put together this neat little piece of software for generating your own aphorism animations, in the style of the memorable scene from Little Busters! Ever had a friend make a stupid quote that you want to immortalise? Use our aphorism generator! It’s still being developed, but we’re happy enough with its current state to release it to the public. You can find it any time in our new ‘Community Content’ menu in the navbar above, along with lots of other cool community-made content. Feel free to share your feedback of the generator below! Tweet Share Dec. 23, 2015 Community, Little Busters!